The Naked Manicure is making it’s way through the vlogger world lately, and Youtuber, JessFace90 recently reviewed the system! Jess walked through each product in her video, explaining the products and the benefits of using the system as well as talking about the differences between each perfector. She was SO impressed with the system, that she even missed how it looked once she took it off! Watch her full review below and learn more about Naked Manicure here. Have you tried the Naked Manicure yet? We’d love to see the difference it’s making in your nails! Share your photos with us using #NakedManicure or #EverydayZoya for a chance to be featured on our website! We absolutely love how perfectly natural our new Naked Manicure system makes our nails look and we thought it would be fun to try a cute negative space nail art look with it! This scalloped look is great because its super easy and looks amazing! Step 1: Prep your nails first by applying the Naked Manicure Naked Base and layering your choice of perfector. Step 2: Using Zoya Lillian paint one stripe of polish starting near the base of your nail and drag up, creating a rounded bottom. Repeat this step two more times per nail, making each line shorter than the previous. These steps will be the same for each nail. Step 3: Complete your nails by applying a coat of the Naked Manicure Glossy Seal. Use #EverydayZoya on your nail art pictures to be featured on our website! Swatches of Zoya Sia – See Her Here! Zoya Nail Polish in Sia is a true, royal blue cream. Below are swatches of Zoya Sia. We will be adding to this as more blogger swatches come in with a variety of skin tones! You can see more of Zoya Sia on her Shade Spotlight as more swatches come in! Be sure to see the full Focus collection if you fell in love with Sia! Swatches of Zoya Janel – See Her Here! 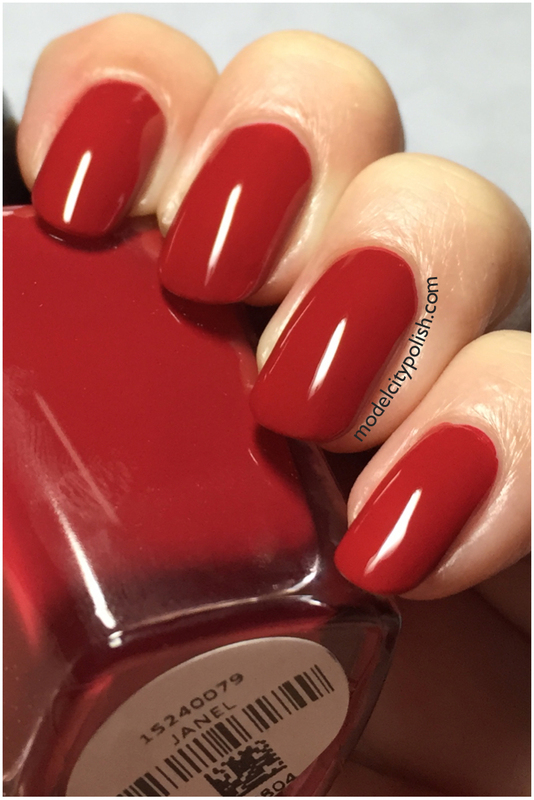 Zoya Nail Polish in Janel is a deep red cream that has a warm undertone. Below are swatches of Zoya Janel. We will be adding to this as more blogger swatches come in with a variety of skin tones! You can see more of Zoya Janel on her Shade Spotlight as more swatches come in! Be sure to see the full Focus collection if you fell in love with Janel! Swatches of Zoya Hannah – See Her Here! 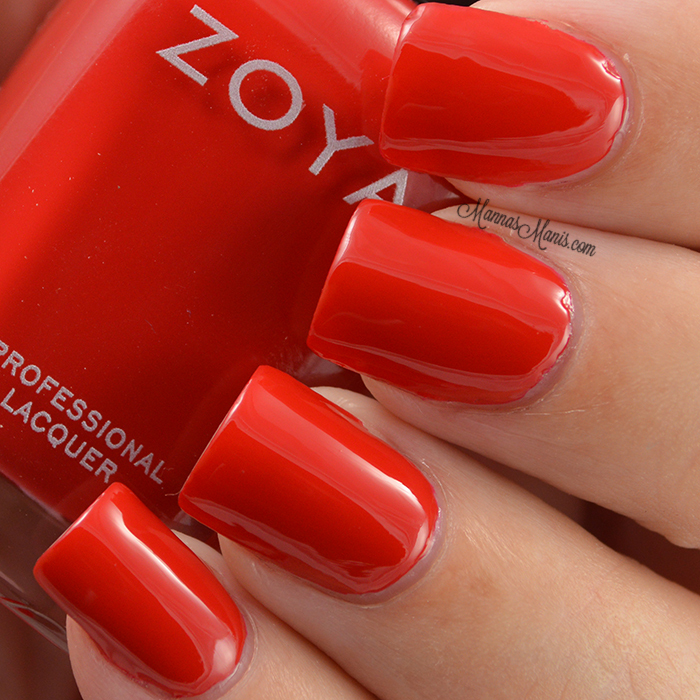 Zoya Nail Polish in Hannah is a clear, classic red cream with a balanced (neutral) undertone. Below are swatches of Zoya Hannah. We will be adding to this as more blogger swatches come in with a variety of skin tones! You can see more of Zoya Hannah on her Shade Spotlight as more swatches come in! Be sure to see the full Focus collection if you fell in love with Lidia! Swatches of Zoya Charli – See Her Here! Zoya Nail Polish in Charli is a dusty taupe cream that has a hint of green, but is still a perfect neutral. Below are swatches of Zoya Charli. We will be adding to this as more blogger swatches come in with a variety of skin tones! You can see more of Zoya Charli on her Shade Spotlight as more swatches come in! Be sure to see the full Focus collection if you fell in love with Charli! Swatches of Zoya Estelle – See Her Here! Zoya Nail Polish in Estelle is a blue on blue liquid metal with a blackened base. Below are swatches of Zoya Estelle. We will be adding to this as more blogger swatches come in with a variety of skin tones! You can see more of Zoya Estelle on her Shade Spotlight as more swatches come in! Be sure to see the full Flair collection if you fell in love with Estelle! Swatches of Zoya Lidia – See Her Here! Zoya Nail Polish in Lidia is a rich eggplant cream that has a blackened purple base and just a hint of red to make it more wearable for all skin tones. You can see more of Zoya Lidia on her Shade Spotlight as more swatches come in! Be sure to see the full Focus collection if you fell in love with Lidia! Swatches of Zoya Giada – See Her Here! 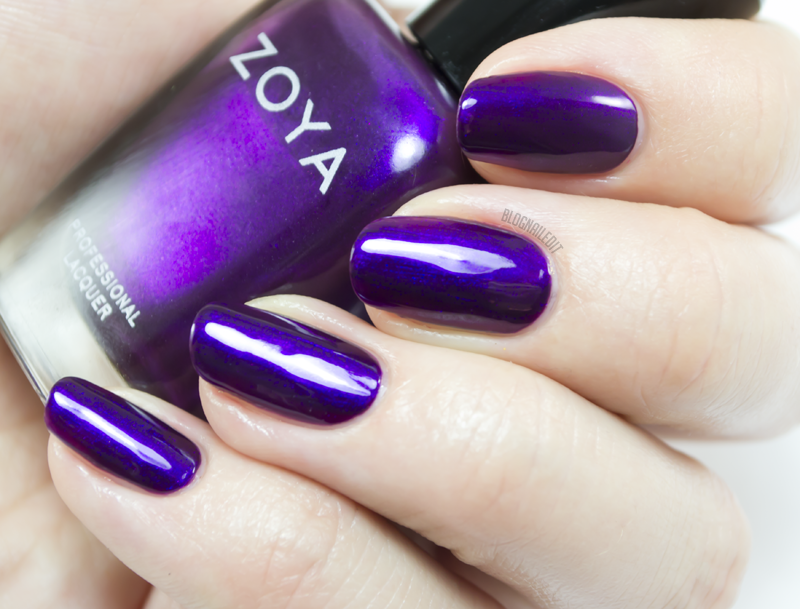 Zoya Nail Polish in Giada is a purple liquid metal with a hint of fuchsia pearl. Below are swatches of Zoya Giada. We will be adding to this as more blogger swatches come in with a variety of skin tones! 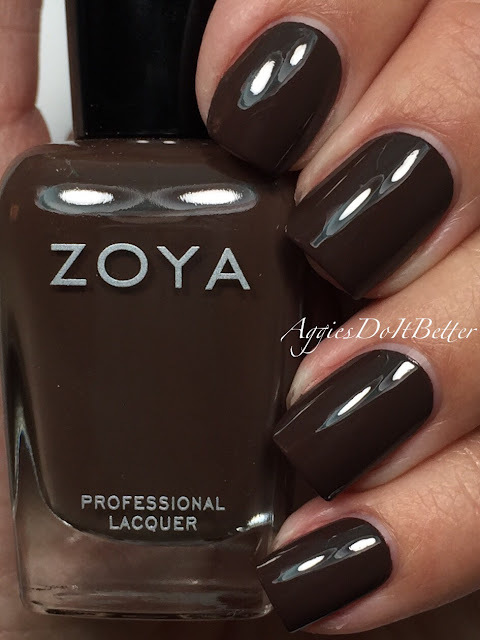 You can see more of Zoya Giada on her Shade Spotlight as more swatches come in! Be sure to see the full Flair collection if you fell in love with Giada!